Our pioneering £1 million Forget Me Not ward opened at Warrington Hospital in May 2014 and is leading the way in providing the best quality care for hospital patients who have dementia. 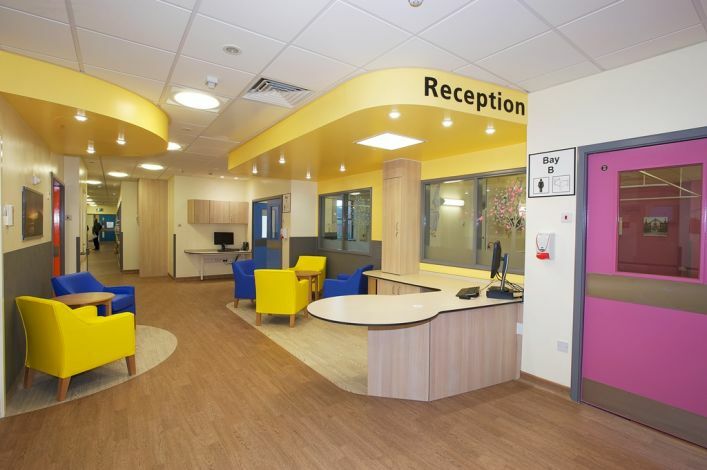 The Forget Me Not ward features a number of innovative design features including its own mock bus stop, lounge area with traditional looking fireplace, quiet room with a 1960s style TV and a special dementia garden area. Everything is designed to provide relaxation and stimulation for patients who need expert hospital care but who also have dementia. 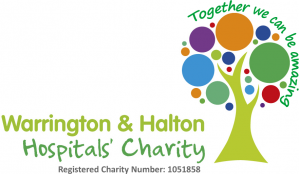 Warrington and Halton Hospitals NHS Foundation Trust was one of the largest beneficiaries from a £50 million national fund released by the Department of Health in 2013-2014 for dementia care environments. Each of the bays and cubicles in the 21 bedded ward has a unique pastel colour scheme with the bay doors are the same colour as the feature walls to make it easy for patients to identify where they are. Each bay also has its own nursing stations, so that nurses can be close to patients at all times. Artwork also plays a key role. Warrington artist Anthony Turk has created a large mural of a bus stop on Buttermarket Street in Warrington in the early 1980s with buildings from that time including the Odeon Cinema (which was demolished in 1994) and a bus going to Bewsey in the town. The concept behind the bus stop - which has two cinema style seats - is that it’s a ‘safe place’. If patients are sat at the bus stop staff can use it as an ice breaker and sit and talk to them as they are waiting for the bus. It is one of many reminiscing tools that have been used throughout the ward. The trust ran a competition to invite local amateur photographs to capture local scenes to help patients reminisce and their works don the walls with pictures next to each bed. The dining room/lounge area features its own fireplace and traditional dining room seating area to create a more homely environment for patients to get together to eat and chat with staff. Ensuite facilities are provided on all three bays, and all of the bathroom facilities are fully accessible with low level access showers. There is more storage provided along the corridor for ward equipment, these areas are the same colour as the corridor to stop patients trying to enter them. Other features include calendar clocks showing the year and date in every bedded area, LED mood lighting throughout the ward and social seating for patients away from their beds. Along the corridor is a quiet room where patients can go and slide the door along and sit watching the television, which broadcasts local film and images from 1960s. Outside the ward is a secure garden area which has raised planters, a gazebo, bench seating, rotating washing line, planted wheel barrow and is fully accessible for wheelchair users. Patients are also encouraged to care for the plants by watering them in the watering cans provided. The Forget Me Not unit is staffed by medical and nursing staff who are experts in providing general medical care as well as caring for the specific needs of patients with dementia. We also encourage volunteers to be dementia friends with us - providing extra support and talking to our patients. This means that patients with dementia who need hospital care have particular needs that are not always best suited to general medical wards. They often become frightened in new environments and it is hoped that the design of the new ward can help reduce that. There is an admission criteria for the ward so that the right patients receive care in the Forget Me Not ward. It is important to note that not every patient with dementia who comes to our hospitals is cared for on the ward. Patients may still be referred to a specialist ward based on their acute medical or surgical condition if that is deemed best for them.